artSMart: CATCH ‘BLOOPERS’ AT THE HEX! CATCH ‘BLOOPERS’ AT THE HEX! 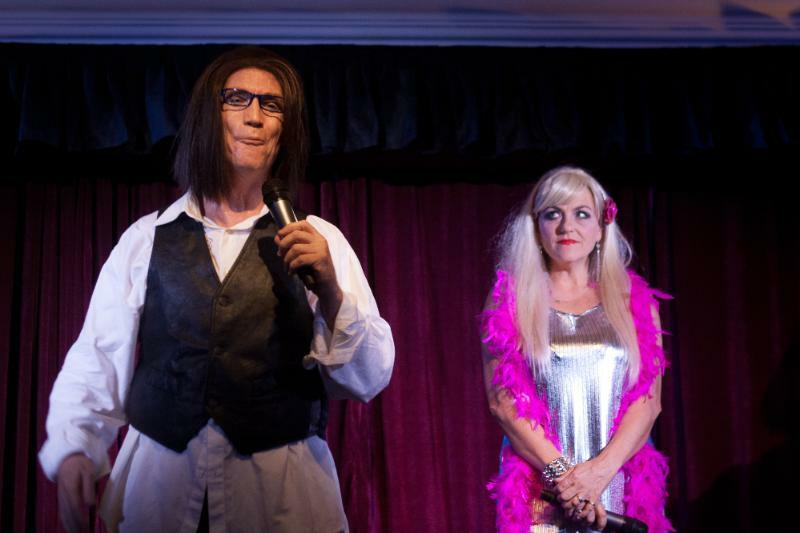 After last year’s hilarious Marriage For Dummies, madcap husband and wife team, Aaron McIlroy and Lisa Bobbert return to The Hexagon Theatre with their brand new musical comedy, Bloopers, on February 2 at 19h30, and February 3 at 15h00. The show is directed and choreographed by comedienne, Daisy Spencer. Have you ever wondered why you laugh when “bad” things happen to other people? Is it just a coping mechanism? Maybe it’s a sign of a terrible childhood – or just a relief response that it didn’t happen to you! Don’t sit at home watching online feeling slightly guilty when you can go out and see it live at The Hexagon and laugh your head off! Join married masters of mirth Aaron McIlroy and Lisa Bobbert in their brand new, smash hit, upper cut, roundhouse kick comedy, Bloopers (low-blows are encouraged). These legends of self-deprecation, boldly go where no intelligent person should, as they rugby tackle subjects like: Cultural appropriation, Landfills, Land grabs, hand grabs, cannabis oil and the ridiculous things we humans get up to … all to a rocking musical back beat!